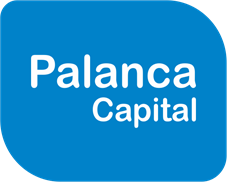 Palanca Capital is a boutique investment bank focused on the M&A advisory, Private Capital raising and Corporate Development needs of growing companies. The firm is founded and composed of professionals with wide and deep experience; with backgrounds in investment banking, management consulting & operating roles. We hold a deeply ingrained belief that we succeed – when our clients succeed. The firm is stage agnostic and we serve high-performing entrepreneurs, growth companies, and management teams with our deep domain and subject matter expertise and strong networks founded on unyielding integrity, commitment, insight & high capability. We apply ourselves to the limits of our abilities towards making things happen within ethical and legal frameworks. We provide mergers and acquisitions advice and services to our clients in areas of divestitures, spin-offs, re-structuring, acquisitions, mergers, de-mergers, joint-ventures, alliances and partnerships, strategic licensing etc. We understand that these are some of the most strategic and important decisions and transactions for our clients and we bring to bear years of experience, expertise, insights and perspectives in an un-biased, independent manner in assisting our clients meet their goals. The leadership at Palanca Capital have led highly complex transactions including complex restructurings, multi-geography – multi dimensional transactions, complex structured cross border Leveraged Buy Outs (LBOs), muti-phase global auction processes etc. Palanca Capital assists and advises clients in raising venture capital and private equity financing. Our team brings deep domain and subject matter expertise in understanding client businesses and managing efficient transaction processes over a broad institutional investor network and also high networth individuals, angel networks and family offices. Along with vanilla VC & PE financings, the team at Palanca Capital have led complex LBO financings involving senior debt, PIK notes, vendor financing and other forms of financings viz. structured bridge and mezzanine financings. While incubators and accelerators work with early stage companies over the few initial months past inception, Palanca Capital engages with entrepreneurs and their teams over the larger life cycle of their businesses. From idea / inception to late maturity and eventual exit - with a singular objective - growth with decisive value accretion. Each phase has its unique requirements of the founders and team to think through and implement various strategic, tactical and operational initiatives. Over the years, Palanca Capital has assisted numerous founders and management teams with these various phases of growth and value monetization. Over the years, we have engaged with entrepreneurs and their companies (tiny to large sized and very early to late stage in the life cycle) with long term, multi year, continuous engagement models with senior level advisory on all facets of strategic importance together with advising and managing transaction processes for financing (VC / PE fund raises), alliances, partnerships, JVs, strategic licensing, transformational business development initiatives and M&A transactions - with the singular objective of growth towards value accretion / monetization. We serve in the capacity of founder's partners and as the de-facto office of strategy and M&A (also known as the corporate development office) of our client / portfolio companies. Ashwin founded Palanca Capital in 2014 and has over 20 years of professional experience. Prior to founding Palanca Capital, he was a member of the M&A Advisory practice of EY India with a significant contribution to its market leadership in India during this time. Ashwin’s professional career advising and assisting entrepreneurs, companies and the venture capital / private equity ecosystem goes back to the time when the first VCs were yet to set up shop in India. Prior to this, he held operating roles in engineering and business development with Black & Decker Bajaj India. In his professional career, Ashwin has been an entrepreneur himself a few times over with ventures in technology, management consulting, consumer goods, and the capital markets. These experiences have given him a unique perspective to understand – first hand - the dilemmas, challenges, joys and sorrows of entrepreneurs. Coupled with the extensive experience in investment banking, he brings these perspectives and insights to bear in assisting and advising clients and in interactions and engagements with investors, counterparties and other stakeholders. Ashwin’s investment banking experience in advising on transactions extends to numerous venture capital and private equity financings, sell-side and buy-side engagements on domestic and cross-border M&A transactions executed over parties and counterparties in India, France, Italy, UK, Spain, Israel, US, Canada, Australia, Japan, China and Africa. Abhijith has over 10 years of investment banking experience. He is a professional distinguished by his commitment to client success. He is at his best when working with entrepreneurs. With a highly developed acumen and deep experience, Abhijith aims to make a difference to the entrepreneur’s journey in assisting them and their teams to achieve their goals with respect to their enterprise. This is what drives him and brings out the best in him. Prior to joining Palanca Capital, Abhijith was a member of the investment banking practice at EY based out of Bangalore. He has advised on transactions ranging from vanilla VC/ PE financings and M&A transactions to complex situations of PE exits, business carve outs etc. His sectoral coverage has included businesses in diversified industrials, consumer, technology and business services. Abhijith is a Chartered Accountant with prior roles in tax advisory and transfer pricing. Outside of investment banking, Abhijith takes a keen interest in birding and volunteering for wildlife projects. Palanca Capital Advisors Pvt. Ltd.
By accessing this website and/or using any information or material provided on or via this website you agree to be bound by this Disclaimer. The information and any material provided on this website or in any communication containing a link to this website is not intended for distribution to, or use by, any person or entity in any jurisdiction or country where such distribution or use would be contrary to law or regulation or which would subject Palanca to any registration requirement within such jurisdiction or country. Neither the information, nor any material or opinion contained in this website constitutes a solicitation or offer by Palanca or its, directors and employees to buy or sell any securities, futures, options or other financial instruments or provide any investment advice or service. This information and any material or opinion provided on this website is for your private information only. We do not represent that the information and any material provided on this website is accurate or complete. Palanca shall not have any responsibility to maintain the website, data and services made available on this website. No part of any information or material may be copied or duplicated in any form by any means, or redistributed. All investments are subject to market risks. In no event will Palanca or its directors and employees be liable for any damages including without limitation direct or indirect, special, incidental, or consequential damages, losses or expenses arising out of and in connection with this website or use thereof or inability to use thereof, or in connection with any failure of performance, error, omission, interruption, defect, delay in operation or transmission, computer virus or system failure. You acknowledge that you have read and understood the Disclaimer statement and other legal information mentioned in the website and agree to abide by it. The information on this site is provided "AS IS". Palanca does not, either expressly or impliedly, warrant the accuracy of the information and materials provided herein for any particular purpose and expressly disclaim any warranties of merchantability or fitness for a particular purpose. Palanca will not be responsible or liable for any loss, injury, liability or damage that could result from or arise from your usage of the Website, including, but not limited to any errors in or omissions from the Website or its content therein and any third party website or content therein directly or indirectly accessed through links made available on the Website, if any, including but not limited to any errors in or omissions there from. Palanca does not guarantee the accuracy, validity, reliability, timeliness or completeness of any information or material made available to you for any particular purpose. Neither Palanca , nor any of its, directors, officers or employees, nor any third party vendor will be liable or have any responsibility of any kind for any loss or damage that you incur in the event of any failure or interruption of this site, or resulting from the act or omission of any other party involved in making this site or the data contained therein available to you, or from any other cause relating to your access to, inability to access, or use of the site or these materials, whether or not the circumstances giving rise to such cause may have been within the control of Palanca or of any vendor providing software or services support. In no event will Palanca or any such parties be liable to you for any direct, special, indirect, consequential, incidental damages or any other damages of any kind even if Palanca or any other party have been advised of the possibility thereof. Any and all material and information available through the Website is solely for non-commercial and for your own personal use and for information purposes only. The materials and information on this Website is not intended as an offer or solicitation for the purchase of any stock, any other security or any financial instrument or to provide any investment service or investment advice in any jurisdiction. Investment services are subject to market risks. User accesses, uses, and relies upon such information at his own risk. Alter, decompile or reverse engineer any software component of the Website. Unless otherwise stated, copyright and all intellectual property rights in and to all content and material presented on the Website (including but not limited to text, audio, video or graphical images), trademarks and logos appearing on this Website are the property of Palanca and are protected under applicable Laws. No part of any information or material or software from the Website may be (i) copied, removed, photocopied, or duplicated in any form by any means, or (ii) re-distributed without Palanca's prior written consent. If you download any information or material or software from this Website, you agree that you will not copy it or remove or obscure any copyright or other notices or legends contained in any such information. Any infringement shall be strongly defended and pursued to the fullest extent permitted by law. This Website may provide links to certain third party websites. Palanca is providing such links solely as a convenience to you. Such third party websites that have links on our Website may collect personally identifiable information about you. You are advised to check the data protection policies of these third party websites yourself before using those links/sites. Like many other websites, this Website collects information from its visitors/customers by permitting you to communicate directly with us via e-mail and feedback / contact us forms. Some of the information that you submit may be personally identifiable information (information that can be uniquely identified with you, such as your full name, address, e-mail address, phone number, and so on). Certain information collected from your end may be mandatory whereas certain information may be optional. • to allow you to subscribe to our newsletter. (iii) where required by applicable laws, court orders, or government regulations. As you navigate through this Website, certain information can be passively collected (collected without your actively providing the information) using various technologies and means, such as navigational data collection. We may send cookies to your computer. Cookies are strings of information that are sent out by a website and saved in your computer. We may use session specific cookies to automatically collect data about website usage when you visit this Website, including your IP address, portions of the Website that you visit and the information or other services you obtain or input (including domain name, Internet service provider, protocol, browser type, operating system etc.). This information is collected primarily for purposes of administering the Website, compiling demographic information and monitoring usage and performance of the Website. If you turn off the cookie function you may not receive all the information on the Website. We may use your IP address to diagnose problems with our server, report aggregate information, determine the fastest route for your computer to use in connecting to our Website, and administer and improve this Website. Palanca believes that by collecting certain information of its visitors/customers it is able to use your information to improve the content of this Website, to customize the Website to user's preferences, to communicate information to you, for our marketing and research purposes, and for providing you with the latest information for direct marketing purposes where we think you may be interested in the products and services of Palanca. We will make full use of all information acquired through this Website that is not in personally identifiable form. Palanca is committed to protecting your privacy and utilizing technology that gives you the most powerful, safe, online experience that you can get anywhere else. Palanca shall ensure to safeguard the security and confidentiality of any information you share with us. Any personally identifiable information of the visitors/customers obtained by us shall not be used or shared other than for the purposes to which the visitors/customers consent. However security and confidentiality of information cannot be guaranteed to be 100% secure. Hence despite our utmost efforts to protect your personal information, Palanca cannot warrant the security of any information you transmit to us through our online services. Such transmission of your personal information is done at your own risk.